Ashdon Road, Saffron Walden. Loft conversion. 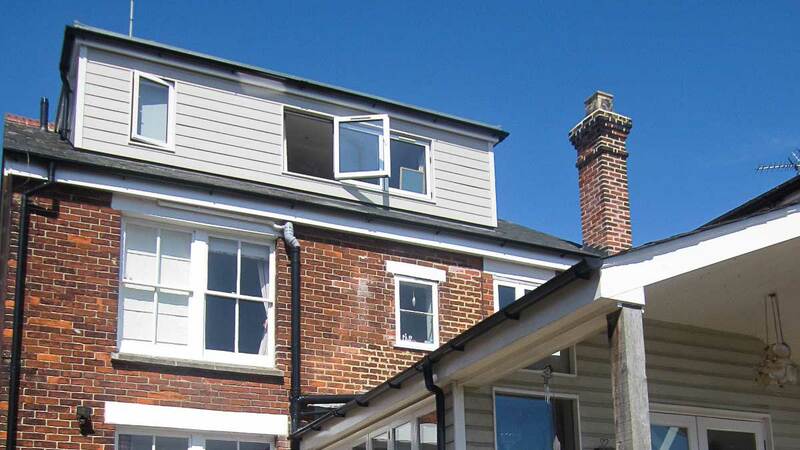 Maintenance free Hardi-plank boarding used on this rear dormer extension. Access to the loft is always a challenge in order to maximise space and headroom.